Rebrands are a little like going back to the gym after a period of inactivity. It’s not for everyone. It’s a lot of work. Yet those committed and dedicated to the cause, will see results. • Confusion – what happened to the old brand? Where’s it gone? Is it still the same company? Consumers will have so many questions. • Financially, it’s a lot to commit to, without a guaranteed return on investment. Not just a logo and website tweak, a rebrand involves adapting everything that is customer facing. This isn’t forgetting the financial loss that may incur from not being recognised or accepted anymore by your loyal consumer base. • Expanding on the above, your followers may feel ostracised, and excluded from the revamp; they’ve been left completely ‘out of the loop’. This can influence your customers who’ve been there from the offset to fall off the radar; change isn’t for everyone. • Your rebrand may not even be necessary. Take Gap’s massive rebrand fail back in 2010, where they shelled out $100 million to convert Gap’s widely loved logo to something more minimal, just because. One week later, they’d reverted back to their original branding. • Your skew in direction, may skew your general public perception. Consumers may be suspicious and weary of your sudden revamp, engendering them to doubt the trustworthiness and transparency of your business. For some businesses, there isn’t a choice but to start afresh, perhaps they’ve experienced some negative press, or need to appeal to modern attitudes in order to grow globally. If there’s logical reasoning behind your desire to shift tone, design or target audience, then ‘just do it.’ As, exhibited from some of the finest brands below, it’s possible. Why have some of the biggest, most popular brands chosen to rebrand? According to statistics, Nike is the most valued global sports-brand ever. Possessing a total value of 28 billion US dollars, the doyen of sportswear has sub-brands that stem under ‘Nike’ and is demanded throughout the sports industry, internationally. This means that Nike really does have to keep on the ball, and reflect the current issues and attitudes of everyday society to resonate with modern-day culture. Such a bold, emotional portrayal from Nike attunes to today’s societal views and attitudes perfectly. Not only does the advert resonate with akin sufferers of racial abuse, but it goes beyond that, reaching out to the modern masses who’re in this day and age (generally speaking) politically-charged and equality-driven. Raising awareness through such a bold advert is audacious of Nike, of which consumers like, remember, emote with and buy into. Similarly McDonald’s pulled their rebrand out of the (paper) bag, with a simplistic, yet striking redesign to get ‘trendy’ consumers McLoving their eats. The packaging was minimalized, and adorned with popping typography, a contemporary combo created to appeal to current 21st century city dwellers, who’ve a fondness for design and all things ‘Instagrammable’. Back in 2016, Instagram unveiled “the average Instagram user missed out on 70% of their feed.” This was due to its chronological ordering of the newsfeed, whereby older posts were pushed down by posts that had been most recently published. By result, Instagram changed things up; the social network channel messed around with its algorithm so that consumers were shown the moments that they “cared about the most”, as opposed to what was most current. To mark this update, and to draw parallels between its sister brands, that include layout, Boomerang and Hyperlapse, Instagram redeveloped its branding. This evidently helped to show growth, progression and advancement for Instagram through a less bulky, more digital skeuomorphic design. The world wide web, can play host to the good, the bad, and the ugly, and can sometimes for brands be detrimental, with users being influenced to review, comment and share their (sometimes not so great) experiences with the masses. It can also be a platform for publishing news that brands may have wanted to keep hush and sweep under the rug. 2017 was a tough year for Uber. It began with them losing 200,000 customers from displaying ties with President Trump, birthing the #DeleteUberMovement. This escalated with various other scandals that hit the net, such as a female Uber employee being discriminated and sexually harassed by a fellow worker, an ominous work retreat that transgressed to drug use and inappropriate managerial behaviour, and Uber being sued by Google, its very own investor. Unbelievably, even more ghastly news came to light, leaving Uber in a bit of a pickle to say the least. It was critical for Uber to make apparent changes to its services as a measure to retain its consumers. A newly appointed CEO, Dara Khosrowshahi joined Uber and a rebrand followed; both signalled to consumers that Uber was taking a new direction. The new design reassured consumers with a rebrand that oozed simplicity, transparency and ease-of-use. This helped consumers to give back their trust in Uber’s services and forget about Uber’s horrific history. Rebranding due to positive developments is always an exciting prospect for businesses. Not only does it convey growth and longevity to consumers, but it’s also minimal risk. Italian fashion group Michael Kors Holdings Ltd after recently purchasing Versace and Jimmy Choo Ltd, have announced their new rebrand, whereby they’ll be changing their name to Capri Holdings, a luxury island formed over 200 million years ago. The investment of two major luxury brands, will offer Capri Holdings financial security and longevity, of which is implied through its new brand name which represents timeless heritage. This connotes to consumers that the new rebrand will be a classic label for the fashion conscious, offering must-have staples. It also implicates luxury, and takes Michael Kors’ entry-level designer goods up a notch into the global luxury market – this will generate widespread appeal. Such an exciting rebrand in the world of fashion is exciting, of which instantly resonates with consumers. The announcement – without revealing any design updates – has sparked interest in consumers, as they eagerly await for what’s to come – rebranding at its finest! As the old proverb goes, “honesty is the best policy”. So if your brand is struggling to remain authentic, and offer transparency to consumers, then a rebrand may be necessary. However, it’s vital to know beforehand if the potential positives outweigh the risks involved – don’t try to fix a brand that doesn’t need fixing, it’s not worth it – literally. Stats reveal that “consistent brand presentation across all platforms increases revenue up to 23%”. Thus, if a brand needs to rejig its offering whether to adapt to current trends, new audiences, or to shake off bad associations, then consistent representation needs to be prioritised by all involved – enforcing company culture is critical here – and executed flawlessly, from all angles. This will re-ignite trust in consumers – generating sales and customer loyalty back into your business. 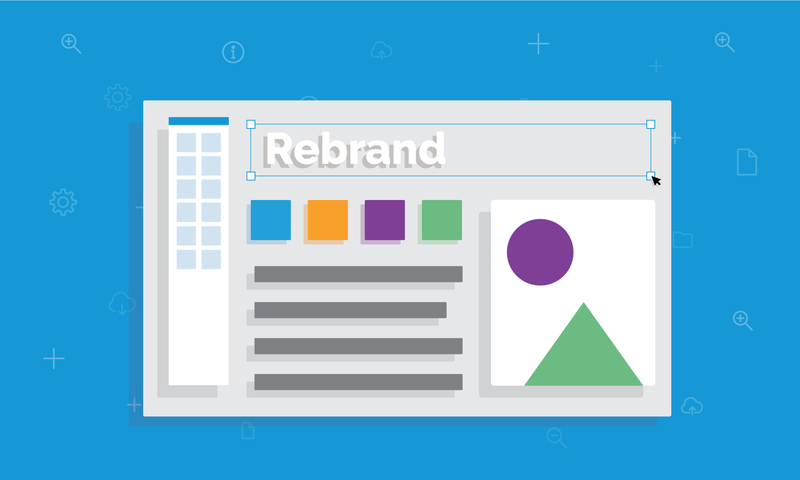 Are you considering a rebrand? Have you ever redesigned your branding and saw a positive outcome? Comment below with your experiences.